Welcome to the second edition of House of Cutes! 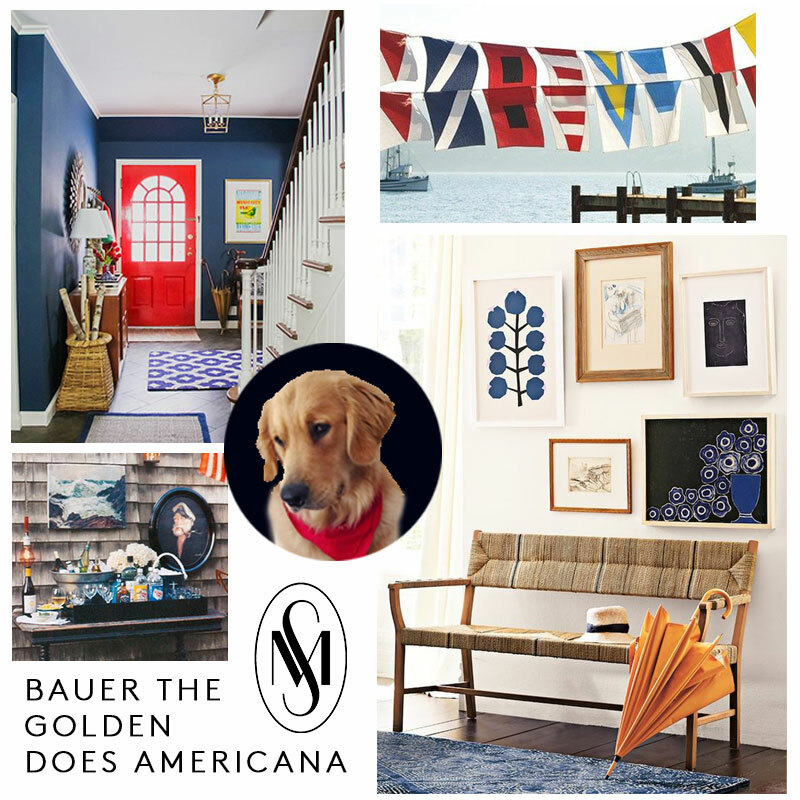 Today we go Americana style with Bauer the Golden Retriever. A beloved family pet, The Golden Retriever is a symbol of domestic bliss. Born in February 2016, Bauer is an influencer golden pup who lives in Chicago with his family. He has over 55,000 followers on Instagram and leads the hashtag #goldenpupsquadfeature where he gives love to others of his kind. It's clear by his instagram what Bauer is all about. Bauer's love of Lake Michigan and the white wainscotting that is often the backdrop for his glamour shots, inspired me to come up with an Americana themed dining room. 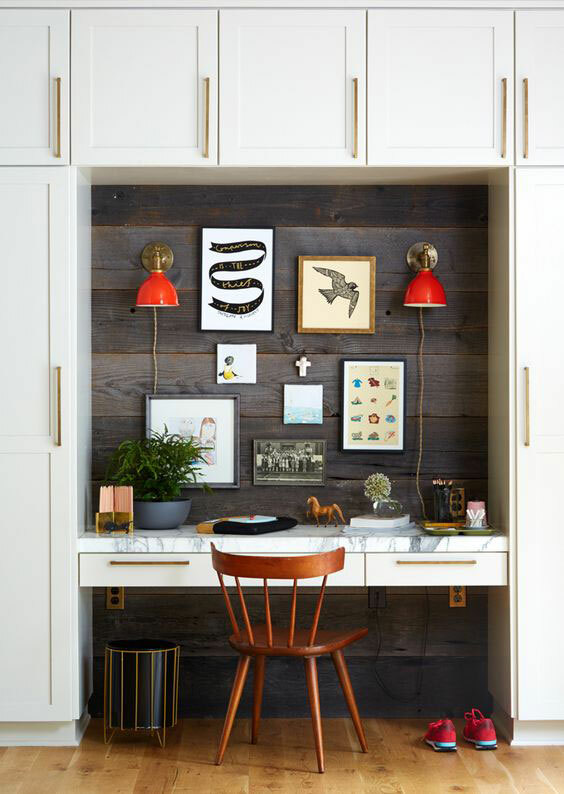 You can see this style in homes across the nation with varying degrees of success. One of the most fun challenges for me as a designer is working around a very specific theme or style and making it look sophisticated. One company that I think does a great job with this is Serena and Lily. They go a bit coastal and preppy, but with a touch of ethnic and the result is fresh approach to bedding, furniture and home. Also Schoolhouse Electric, based out of Portland, OR. So good it's almost annoying. Here is the inspiration for Bauer and his family's dining room. The key ingredients to capturing Americana in style are bright blue and red, bright white and pops of black, something aged, and incorporating a natural material such as rattan furniture or a jute rug. It's 2017 so throw in some brass too. 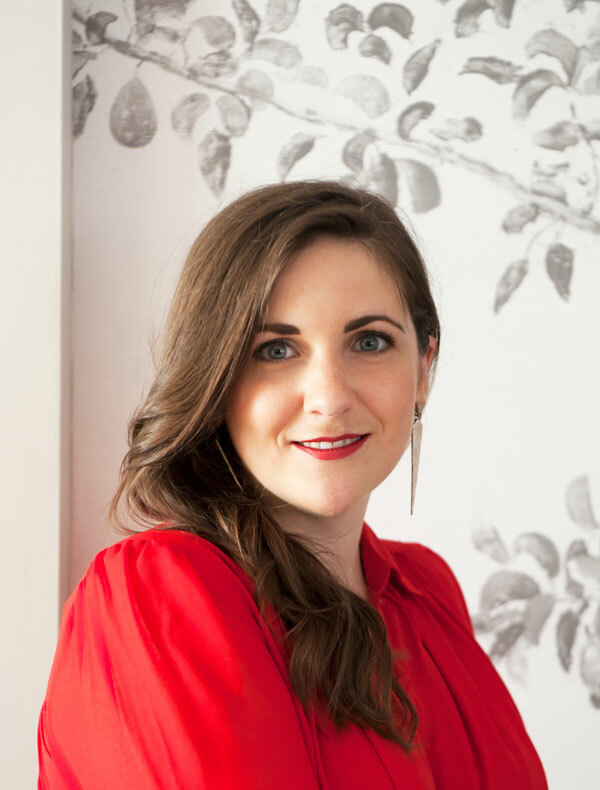 Here's my recipe for a Sophisticated Coastal/Americana style dining room. You've got a funky pattern, aged look rug, black Windsor Chair, brass and rattan accents and mismatched dishes. The bright red wallpaper is kept in check paired with white beadboard and graphic color blocked curtains in a neutral gray blue. I actually didn't source too much from Schoolhouse Electric or Serena and Lily, because that's like cheating, right? Lake-life is indeed a lifestyle and for us in Chicago it's only 3 months out of the year. Why not incorporate it into your life year round, the right way. I can help! I'm taking nominations for the next House of Cutes, leave your suggestions in the comments below!